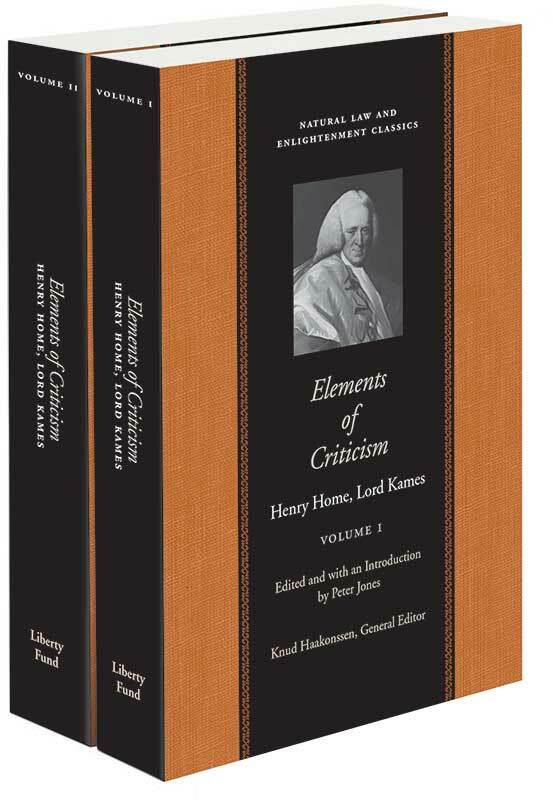 Liberty Fund’s edition of Elements of Criticism is the first modern edition of one of Kames’s most influential works. In Elements, Kames sets out his argument that the “science of criticism” is a “rational science;” it is “a subject of reasoning as well as of taste.” Volume one explores the nature and causes of the emotions and passions. Volume two delineates principles of rhetoric and literary appreciation, ending with a discussion of the formation of a standard of taste. Kames illustrated both volumes with a vast range of examples from classical literature and the arts of his own day. Peter Jones is Professor Emeritus of Philosophy at the University of Edinburgh. Introduction, note on the text, annotations, selected reading, second index.